One of the metaphors that my diagnosing psychologist used to illustrate the exhaustion of being autistic in an allistic (that is, non-autistic) world is about paddling down a river. All of the neurotypical people are sitting in their kayaks paddling along with the current, but the autistic person is paddling through a current that runs in the other direction. For every one stroke the other kayakers paddle, the autistic kayaker has to paddle three strokes just to keep up. It’s not a perfect metaphor, but I think it does speak to the extra effort that goes into much of daily life for me, especially social interactions and aspects of executive functioning (I’ve promised to explain executive functioning in more detail in a later post and I will – it’s a big topic). When I was younger, I relied on scripting a lot. There are different kinds of autistic scripting, one involving repeating long strings of dialogue/narration from TV or books, but the kind of scripting I mean is that I would craft a script in my head before speaking, sometimes hours or days before interacting with someone, sometimes on the fly if needed – but it still took me extra time to work out what to say. Throughout school, right into college, I consistently received feedback from teachers that I should participate in class more, because when I did, I had insightful things to say. What I couldn’t have explained was that the problem wasn’t lack of interest, or even shyness, but the difficulty of scripting on the fly in a class setting. Usually I would take so long to perfectly craft my script, that the conversation would have moved on by the time I was ready to say it. Sometimes it just didn’t seem worth it to try. Now, I’ve had half my life to figure out getting by in the neurotypical world, so I am pretty good at it, good enough that most people won’t notice anything remarkably different about me, but it’s still tiring. Essentially, I have to do a lot of things consciously and deliberately that neurotypical people do naturally without thinking about it. Imagine if you had to tell yourself, “Breathe in. Now breathe out. Now in. Now out,” all the livelong day! Well, that’s a bit what it’s like for me to just operate in the world and talk to people. I am very, very used to it, but it still takes more effort than it takes most people. I’ve known for a while that introverts find social interaction draining, and need alone time to recharge. That makes sense to me and for a long time I thought it was a sufficient explanation for my social needs. But within the past year or so, the degree to which I am drained by social interaction, and the time and the extent of withdrawal needed for me to recover, have become more and more obviously out of the typical range of introversion. I’ll sit down in this chair. Is this the right chair? Am I sitting awkwardly? What do I do with my hands? I should be smiling. Make eye contact. Do I look too serious? Relax your eyes. You’re squinting. You look too serious. Should I have offered them something to drink? Does my shirt look weird? They’ve asked me a question, ummm, did they mean x y or z by that? I tried to answer, did that make any sense or sound like pure gibberish? I can’t tell if that was stupid. There is a pause, is it an awkward pause or a normal pause? I’ll fill this silence with a mumbled something-or-other, did that make it even worse? Is it my turn to speak? Is it theirs? I’ll take a drink to stall for time. They’re looking at their phone, does that mean I’m boring them? It probably is not at all obvious that I am doing this running calculation; in fact, though I often appeared very uncomfortable or shy in my teen years, in adulthood I’ve often been told I seem pretty confident. Nevertheless, that is happening in my head most of the time! I do that sort of thing even when I am among just close friends, though with less anxiety, and with family, except for Mike and my kids because with them I can just let it all hang out. So, yeah. It’s exhausting! But it’s second nature now for my brain to do that constant analysis of the situation in order for me to participate. Part of what is freeing about “coming out” as autistic is just not having to hide all of my extra paddling anymore. I’ll still have to do some of it, but I think and hope that at least I will be able to shed some of the anxiety about acting the way I think I am supposed to. I will know that my friends and family will know I am just different, and hopefully along the way I can explain things like – hey, I really have no idea when I am supposed to hug you. If I look like I’m having a bad time I might just be elsewhere in my mind, or a bit tapped out. I care about you a lot but usually don’t know how to show it. Admitting that this is what socializing is like for me is a little scary. It makes me feel vulnerable. In a way it would be tempting to continue to pretend I am just like everyone else, except that the price of doing that has become too high. It takes too much out of me. Another thing that has been difficult about socializing in my 30s as an autistic person is simply realizing and admitting to myself that my desire to socialize exceeds my abilities at this time in my life. I socially flame out quickly these days and that can be very frustrating, but part of taking care of myself and conserving my resources so that I can do everything I want and need to do is being realistic about what I can handle. The most common question I’ve heard since I came out as an autistic person is, what was it about you that made you seek an autism diagnosis? So maybe I can unpack all of the questions within the question and answer them separately. This is what I think people might really be asking me when they ask me, what is it about you that made you want to find out if you have autism? What are your symptoms? We want specific examples of how you are different. This one might be the trickiest to answer because although I have always felt different from most people, I can’t think in terms of “symptoms.” Autism is my neurology, it’s the way my brain is wired, not something I “have.” So while I have always felt different from most other people, I’ve always just felt like me. Maybe it’s actually you neurotypical folks who are the weird ones. Ha! It wasn’t really having “symptoms” that made me think I was autistic, it was seeing myself with crystal clarity in the experiences of other autistic women. But if you want some specific examples of how I think differently, well. I’ll try. 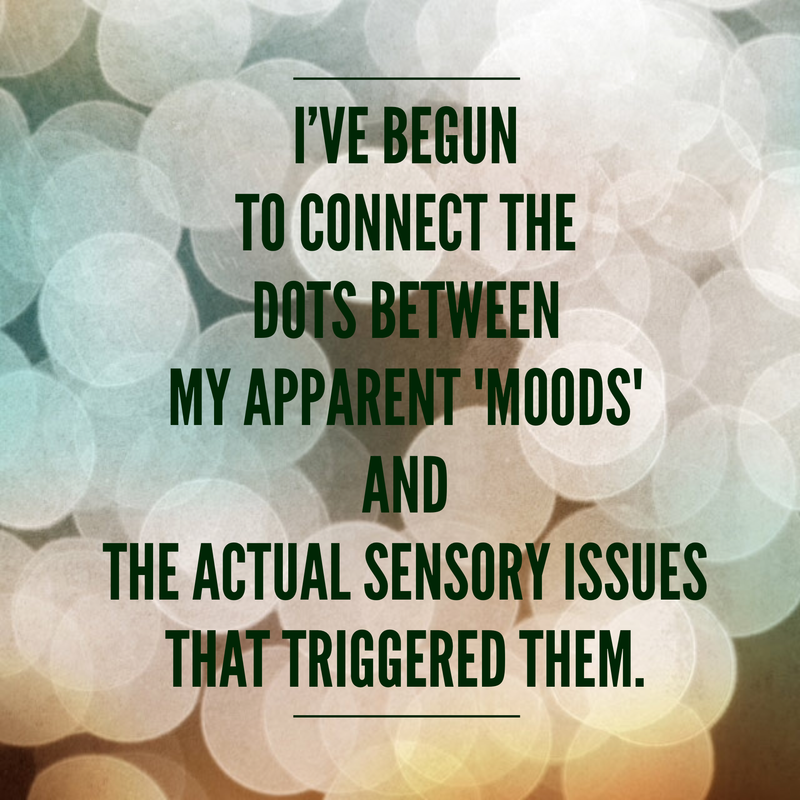 Sensory sensitivities were the first thing that came to my notice via Musings of an Aspie. Being too cold until suddenly I realize I am too hot. Being uncomfortable in my clothes, just, all day. Being on edge, angry, snapping at people, only to realize that there is a background noise that’s actually causing my bad mood. A lot of people have sensory sensitivities without being autistic, but I mention them because realizing what mine are and being able to manage my environment a little are key ways for me to feel good and do the things I need to do. The longest running issue for me that has caused me the most pain in life is issues with social communication. Many people who read my blog and some on Facebook have mainly interacted with me via written word – this is where I am at my best, communication-wise. So the idea that I have trouble communicating may seem absurd. But verbally, in person or on the phone, I do. I wrote a whole separate post on that because it’s big and complex, but in a nutshell, I never really know what to say, what’s appropriate, what’s expected of me, where to begin and where to end, and a lot of times I just kind of shut down and go blank in social situations. This has always prevented me from achieving the kinds of connections I’ve desperately craved. And sometimes it is so discouraging or just plain exhausting that I don’t even try. So that can be challenging. And the last area where I feel the most “different” is in executive functioning. I can detail that in yet another post, but the gist of it is that executive functioning is kind of the command center of the brain, the part of you that organizes, plans, prioritizes, executes, and manages all the little and big things you have to do in life. 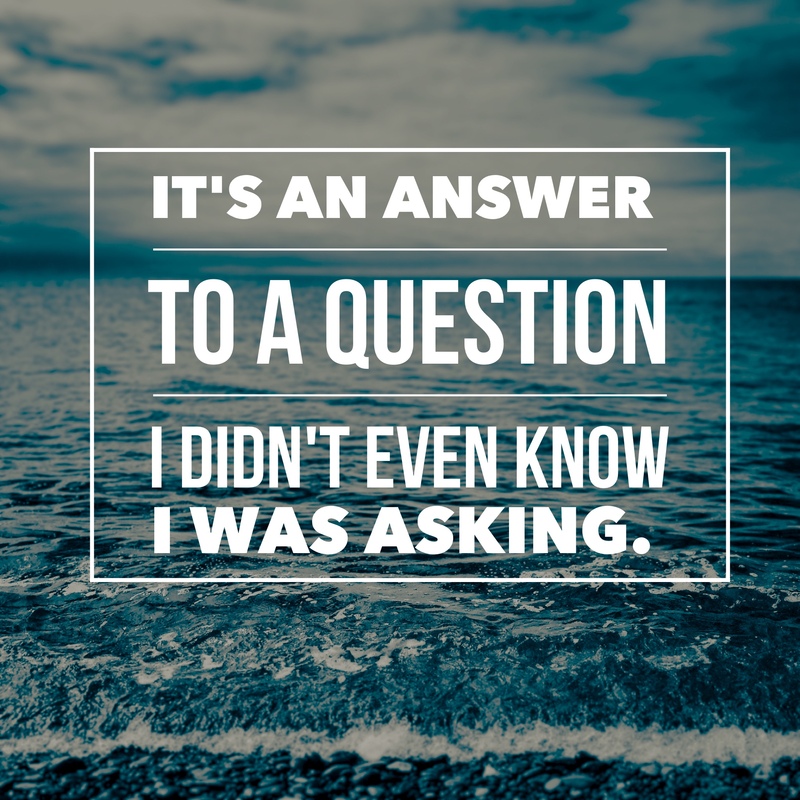 The simplest way to explain why executive functioning is sometimes a challenging area for me is that I get overwhelmed quickly, easily, and often. But what was wrong, really – were you suffering? That is a pretty personal question and no one’s outright asking it, but maybe it is implied. All I can say is, I was getting by, as I have always gotten by in life as an undiagnosed autistic. But I felt that getting by was not enough anymore as I have a husband and two kids who need me to do better than just get through the days. I have other family members I long to connect with more than I have. And I have things that I want to do that require me to get out of survival mode. Of course this diagnosis is for myself, but it’s also for all of the people who love me, and whom I love, too. There are a few people who are curious “what about me” is autistic because they think they might be autistic too. No, not everyone is on the spectrum, but certainly some people are out there who are undiagnosed but autistic. Women especially tend to be underdiagnosed and the big discrepancy in the numbers of male and female autistics is most likely due to underdiagnosis in females. So what I tell people who seriously think they might be autistic and seem to have a strong need to find out is, it’s worth looking into. I am really glad I did. I also caution you that it can be expensive to get diagnosed, so look into what your insurance will cover, and women should try to find professionals who specialize in diagnosing women with autism, because not all of them recognize autism in women well. Autistic women are more likely to be misdiagnosed with depression, anxiety, OCD, ADD, etc. Don’t let that scare you off, but be aware of it. But why did you feel the need to label yourself this way? I suspect that what some people mean when they ask this question is, why would you want to be known as autistic when you can easily pass for “normal?” If you ask this, you are assuming that autistic is a bad thing to be, something no one would want to be if they had the option to choose. It’s not. And you are also discounting the stress and the depression associated with “passing,” which for me have come to outweigh the stigma of autism. If you are secretly wondering why I would want to label myself, I understand why you feel that way, because I once felt the same, until I learned more about autism, which is widely and unfortunately misunderstood. So I feel a need to label myself this way because this is the way I am. I am not ashamed of it. Sometimes I am proud of it. But essentially it is a neutral facet of my being. Being my true self gives me immense satisfaction, as I think it does for anyone. Oprah made a cliche out of “Living Your Best Life,” but that’s because the idea of authenticity resonates with so many people. And for me, realizing, accepting, and declaring that I am autistic is a path to authenticity. Autism is not *everything* about me, but it’s an integral part. So if you ask me why I want to label myself this way, to “come out?” – my honest answer is, why wouldn’t I? 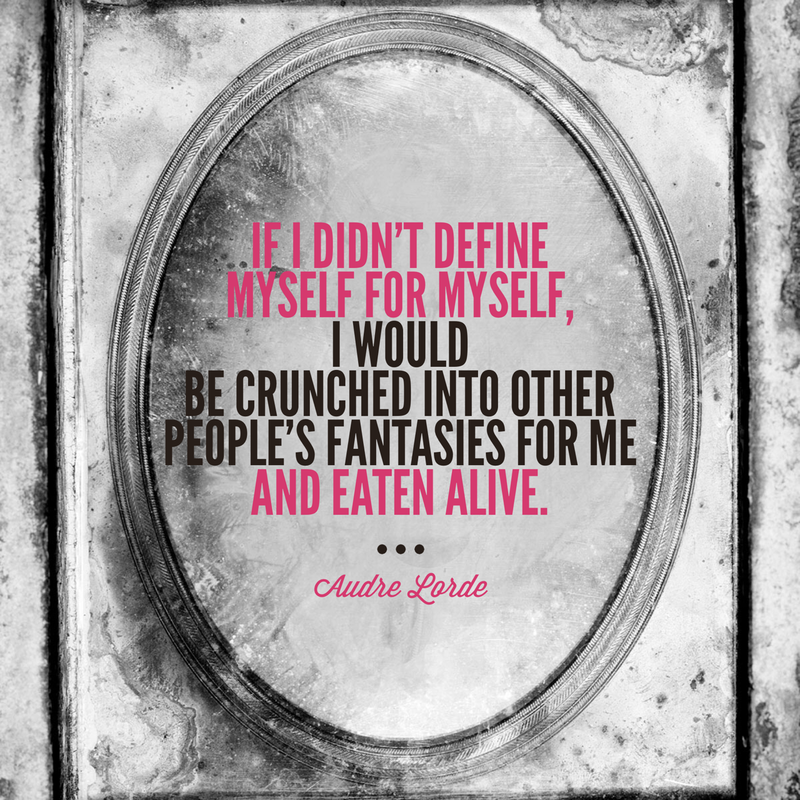 Why wouldn’t I want to exist in the world as my authentic self? Why wouldn’t I want people to know who I really am? Why wouldn’t I want to be free? The only reason why not is fear. Every person who lives in a closet for one reason or another has to balance the fear of coming out with the pain of staying in. That fear has legit reasons so I don’t judge anyone for staying in. But I’m coming out. You may or may not remember that I made a passing mention, in a This & That post last fall, of reading and relating to a post on the blog Musings of an Aspie. What I didn’t mention after that was that I continued to read Musings of an Aspie, and I continued to see myself in Cynthia Kim’s blog, and it didn’t take me long to begin to really wonder, was I on the autistic spectrum after all? Meanwhile, I was struggling to understand why I was feeling the way I was. Tired all the time, flaring up with a hot temper at the littlest things. It didn’t make sense to me that I was so exhausted and edgy and irritable even when I was getting enough sleep, even once I pared down my lifestyle to something very manageable and slow paced, even when I scaled back my workload, even as unschooling took a lot of pressure off my parenting, even though I basically love my life and have a great husband and good friends and adore my kids. Why did things still not feel right? And that dissonance was not a new feeling, as in postpartum depression, but something that I’d always felt to some degree, but gradually became too intense to ignore anymore. 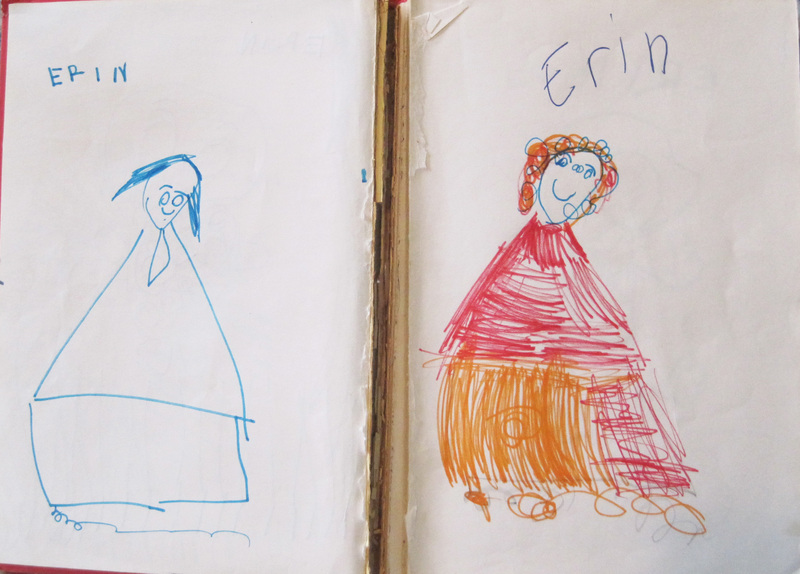 In the months between then and now, I read and researched and learned a LOT about autism in women and how that looks different from what most people think autism looks like (for complicated reasons – I can explain more another time). I formed a support group for autistic women and women who, like me, were thinking they might be autistic, where we could share experiences and ask questions and sort everything out in a safe and supportive space. Those new friends of mine have been invaluable – I appreciate them so much. Finally, I found a local psychologist who specializes in seeing autistic women, and I went to her for an assessment. It’s worth pointing out that this process can be very expensive and I wouldn’t have been able to do it if we hadn’t had the good health insurance that we do – I wish that more people had access to the psychiatric care they need, but it’s not always so easy. I was incredibly nervous about the assessment – I felt vulnerable and even a little humiliated just by undergoing a psych eval – and was honestly scared that I would not get diagnosed with autism. Why? The idea of being autistic was like a missing piece in my life that suddenly made everything make sense. I was terrified that if it was taken back out of the picture, I would be left with the same old confusing mess as before. But I did, in fact, receive a diagnosis of autism last week. It’s official. On the long drive home from my final evaluation appointment, I cried tears of relief and release. I think I also cried a little for all the me’s I’d ever been – the shy little girl, the misfit teen, the lonely young adult – and what could have been if only I’d known then what I know now. I know this will be surprising to a lot of people, and I understand why – I was surprised when I first realized that I might be autistic. I think this is largely due to the fact that very few people, besides people who are actually autistic, know much about autism – which several people have told me since hearing my news. But I can tell you that for me, it just means a huge weight has lifted off my shoulders. Knowing that I am, in fact, a perfectly normal autistic person, makes everything just slide into place. It’s an answer to a question I didn’t even know I was asking for the first 36 years of my life. I’ve spent most of my life getting out of my comfort zone, because basically my comfort zone is being alone in a room with a book. Yeah, it’s weird to quote myself on my own blog, but sometimes you don’t realize how true a thing is until you hear it coming out of your mouth. Mike and I were talking over dinner about a book he was reading, a kind of motivational thing about facing your fears, discomforts, and painful experiences, and pushing through them to make progress in your life. Yes. I know what that means, because that’s what I’ve been doing almost every single day for as long as I can remember. I have to qualify my statement somewhat by saying, my sweet spot is probably being alone in a room with a book AND other people elsewhere in the house. I’ve been really alone before, and learned that there is such a thing as too much aloneness, even for me. When I was 25 I rented a studio apartment in Lower Allston, Massachusetts, where I lived by myself for one full year. I thought I would love it, because I’ve always needed and enjoyed more alone time than the average person. But the bloom wore off the rose soon enough, and I found out that coming home from work every night to an empty apartment was not only a little lonely, but eventually made me feel disconnected from reality. I was surprised once, in my mid-20s, when a friend described me as “ambitious.” That was never a word I’d thought to apply to myself, but now I think I can see that the way ordinary life has always subtly, insistently, relentless prodded me to get out of my comfort zone – just to function, really – has its benefits. I am accustomed to feeling uncomfortable. Many of the most ordinary tasks and interactions of everyday life require me to overcome feelings of either fear or fatigue. But I do them because I have to, or in many cases because I actually want to! Pushing through is a way of life and I think mostly a positive adaptation to my personal challenges. There are times, though, when I need to pull back and conserve my resources, and those times are not always easy to recognize. I never think of myself as a Type A personality, because I am not achievement- or status-oriented, but I do sometimes over-commit to things out of pure enthusiasm and excess creative energy. Creative energy, I’ve learned, does not always = actual energy! Those are times when I need to retreat to my comfort zone and regroup. If I push myself too hard, I pay for it. If I go too hard for too long, I end up needing an extended hibernation period, and modern human life does not really allow a person to hibernate! Certainly, life with kids doesn’t. So I end up feeling like I am trying to sprint underwater for months at a time until things come back into balance. Which is about where I am now. Still, I know that living in The Discomfort Zone has allowed me to do so much in life that I wouldn’t have done if I hadn’t stretched past my fears and anxieties. Even living alone in Boston is something I am glad to have done, since during that time I managed to confidently navigate public transportation (I was a bus system regular), go out to eat or drink by myself without feeling self conscious, find a job, quit a job, cut my own hair, talk to strangers, start a business, start a blog, end a blog, meet my future husband. There were a lot of clumsy moments and some failures but a lot of accomplishments too. Things I might have only read about if I’d sat alone in a room with a book.